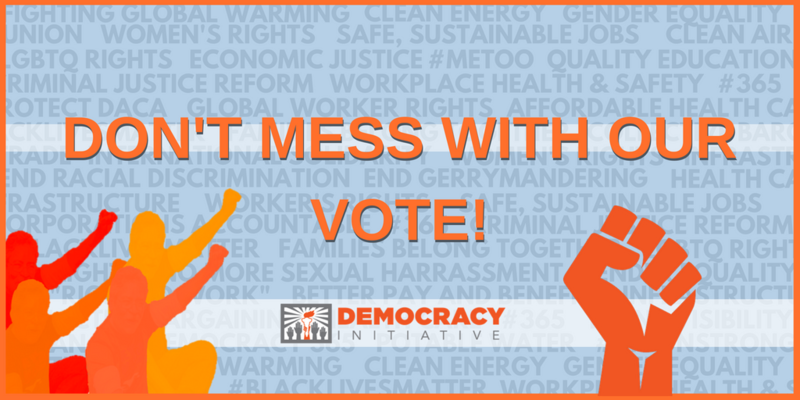 Today the Democracy Initiative's "Don't Mess With Our Vote" petition has gone live! You can see it, and sign, below. Please join us in pushing back on attacks on our voting rights by distributing this petition to your lists and on social media, either nationally, locally, or in priority states. We will be providing sample tweets and Facebook posts, talking points, a one pager on the organizing value of this petition, graphics, and a sample email to your membership in the coming days. Since zip code information is collected as part of the signature, we will be able to deliver the signatures to state officials signed just by their state residents. Please contact Getachew at gkassa@democracyinitiative.org for more information and to join the campaign. We will be updating this page on our website as new materials are produced. Monday, August 6th is the 53rd anniversary of the signing of the Voting Rights Act. A great way to celebrate this landmark piece of Civil Rights Legislation is to sign and share this petition! Everyday people are uniting to stand up to take collective action to build grassroots power and make sure democracy works for all. Election administrators should be on the front lines of our democracy, ensuring that eligible Americans can cast ballots that are counted. As the November 2018 elections approach and you carry out your duties, we write to urge you to protect the voting rights of every American and to spur maximum voter participation. In the United States, everyone should feel confident they can cast their vote and have it counted, no matter who they are or where they live. Our country succeeds when government responds to the will of the people. Purging voter rolls of eligible voters, or making it harder to vote for anyone who is eligible, flies in the face of this country’s democratic principles. Election systems and security are threatened by a serious, chronic lack of public investment and the threat of interference. As a result, many of us and our families risk losing, or have already lost, the right to have our say. This is unacceptable and un-American. Our organizing coalition, the Democracy Initiative, is composed of 69 national organizations representing 40 million people. We are advocates for workers, people with disabilities, and the environment; for civil, religious, LGBTQ, and women’s rights; and for democracy reforms. Each of us joined this coalition knowing the resolutions to our individual priorities and issues require a collective effort to improve the infrastructure of our democratic institutions. Our alliance is powerful. We are black, white, and brown; urban and rural; working class, comfortable, and struggling to get by. We stand ready to act to see our shared principles upheld—in every state, from every candidate for office, in every ballot initiative and every law. We know that some reforms will need to go through the legislative process to become policy, but there are some actions you can take immediately to increase turnout, improve access, increase confidence and help lead to greater representation in the November midterm elections. Today, in this historic moment we must show politicians and elected officials our collective power. Together we are putting them on notice; that we will not allow the coordinated attacks on our voting rights to continue. We oppose efforts to cheat the system and suppress our votes, such as limit voting registration, the purging of millions of eligible voters, and the inadequate response to election security. These attacks disproportionately silence the voices of black, brown, working-class, and under-served communities. This will not be tolerated. • Hire adequate staff for the administration of the election in polling places. • Significant investment in election infrastructure security to reduce the possibility of digital election interference. As officials entrusted with ensuring the quality of full, free, and fair elections, we expect you to be committed to expanding voter turnout, and the reforms outlined above will help accomplish this goal. It is within our collective power to make voting accessible, and to reverse the low turnout trends of the past several election cycles. It is for all our best interests to ensure every eligible voter—60% of whom are from historically disenfranchised communities: women, young people, and people of color—shows up to vote for our future representatives and initiatives. Your proactive policies and planning can pave the way for such a positive change. We are ready, organized, and growing in numbers. We are powered by our commitment to the democratic process—not the interests of the wealthy few. We look to you to share in and act on this commitment, and, if you don’t, you’ll hear from us. We will be collecting signatures on this petition until September 31st. In October the signatures will be delivered to your Governors, Secretaries of State, and State Election Officials. Click the image above to read the full language of the petition and to see how you can help. 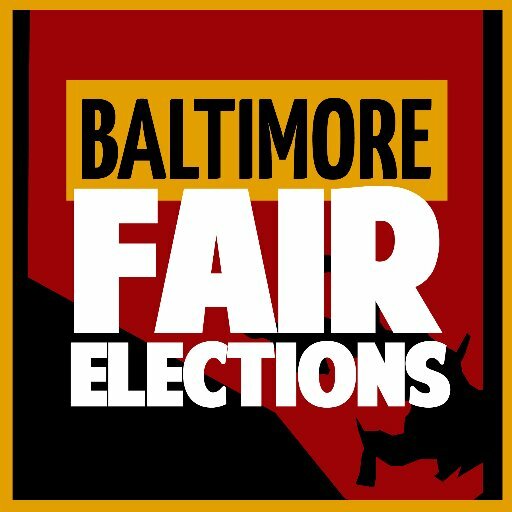 CONGRATULATIONS TO BALTIMORE FAIR ELECTIONS AND ALLIES ON THEIR HARD WORK ON SMALL-DONOR CAMPAIGN FINANCING! On Monday, Baltimore Mayor Catherine Pugh signed off on a charter amendment proposal establishing a Fair Elections Fund; the initiative will now appear on the November ballot for Baltimore residents. The fund would initiate a program for small-dollar donations for eligible candidates to be matched by the city. The measure aims to increase the accountability of elected officials to voters and not wealthy interests. The people of Baltimore have demanded for their voices to be heard, and the initiative is a crucial step toward getting outside money out of our communities and politics. DI partner NAACP has sued the state of Connecticut last Thursday over the state's practice of prison gerrymandering, which attributes prison populations' district of residence to the location of the prison rather than their own residence. The NAACP argues that this practice violates the equal protection clause of the 14th amendment. More importantly, the practice often secures funding and electoral weight for the typically white rural districts in which prisons are housed at the expense of poor communities of color. The NAACP has released a statement about the suit, which can be found here. Cheri Quickmire, President of Common Cause CT said the following. 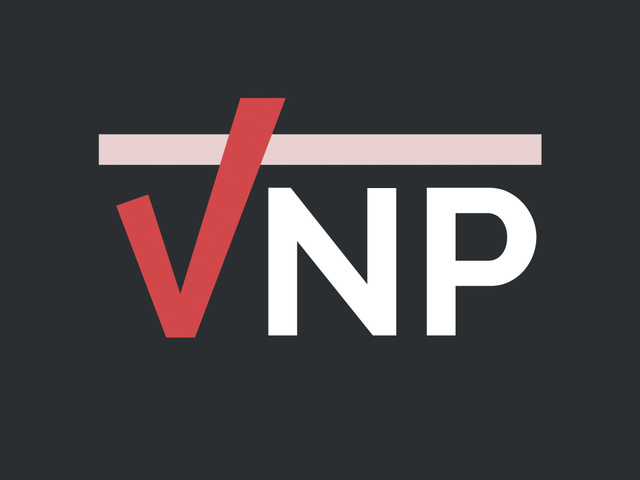 "We welcome this lawsuit by the NAACP against prison gerrymandering in Connecticut. Common Cause in Connecticut is committed to fighting for the Equal Protection clause of the 14th Amendment of U.S. constitution – the principle of one person, one vote. Prison gerrymandering inflates the votes of people who live near prisons and causes the under-representation of those who live in the districts that the incarcerated come from -the districts where they will return." VOTERS NOT POLITICIANS' ANTI-GERRYMANDERING INITIATIVE GOES TO THE BALLOT-giving voters a say in fair representation! On Tuesday night, the Michigan Supreme Court ruled in a 4-3 vote for the Michigan Independent Redistricting Commission Initiative to appear on the November ballot. The initiative allows for the creation of an independent commission of citizens to draw the state district lines, which will redraw heavily gerrymandered districts previously drawn by Republicans in 2011. The Voters Not Politicians initiative passed through the court despite efforts from moneyed interests such as the astro-turf group Citizens Protecting Michigan's Constitution, a group with ties to the wealthy Koch network and the American Legislative Exchange Council. Read more about the decision here. "Our state Constitution begins with, 'All political power is inherent in the people.' The court's decision upholds our right as citizens to petition our government for positive change." 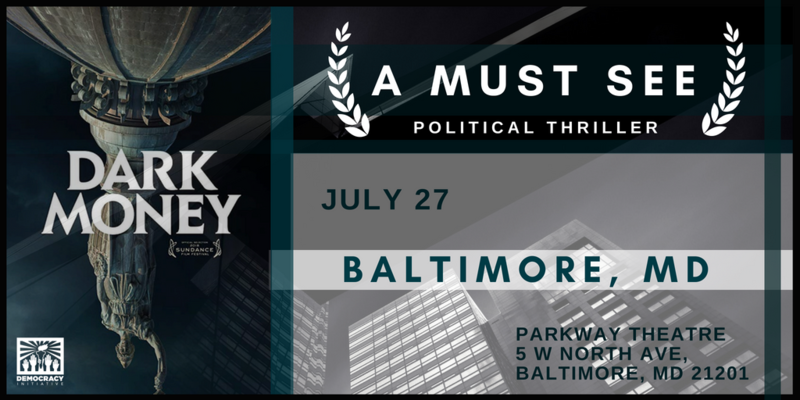 Dark Money, a political thriller, examines one of the greatest present threats to American democracy: the influence of untraceable corporate money on our elections and elected officials. The fair representation of all communities, not just those with money, is key to the democratic process. Our voices need to be heard as loudly as those of wealthy and corporate interests, to create better lives for all. The film takes viewers to Montana — a frontline in the fight to preserve fair elections nationwide — to follow an intrepid local journalist working to expose the real-life impacts of the US Supreme Court’s Citizens United decision. Through this gripping story, Dark Money uncovers the shocking and vital truth of how American elections are bought and sold. The movie premieres in Baltimore today, and in Michigan on August 30th. Find your local screening and more info here. We are maintaining a DI campaign calendar that will include information on upcoming events and activities. Visit our website to access the calendar. Contact Elsie (eguerrero@democracyinitiative.org ) if you have questions. DI Communications Working Group-- Next Meeting Thursday, August 16th at 1pm. The communications working group is a collaborative space for message refinement using feedback from organizations working on the ground. These monthly meetings also help to resource partner organizations for ongoing local and national campaigns and coordinate messaging and communications as a coalition. We invite partners to share a victory, recruit for actions in the fight for democracy, or let us know about a conference. Email Aimée (apohl@democracyinitiative.org) to add an action for the next Weekly Update! If you are not already a subscriber, click here to receive the DI Report in your inbox. And please be sure to follow us on Twitter (@Unite4Democracy), like us on Facebook, instagram (unite4democracy) and subscribe to our YouTube Channel.